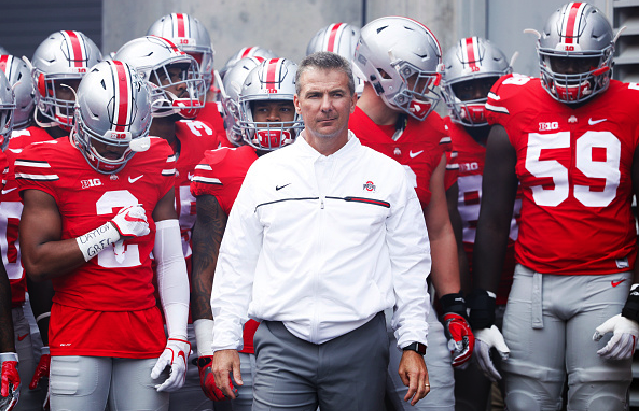 Preseason CFP Implications: Boom or bust for SEC; what happens with Urban Meyer and Ohio State? Several Week 1 games could wind up having major implications on the College Football Playoff race. We have almost arrived. There are no more Saturdays without college football until January. Think about that. There will be at least one FBS football game every Saturday from this weekend until December 29th. Sure, this weekend will only have four games, and none of them are particularly high-profile, although both Wyoming and Colorado State have good potential, but football is football. The start of the football season means the start of the College Football Playoff race. In theory, the idea is that “every game matters.” That might not always end up completely true, but from day one, just about everything that happens on the field will help determine who eventually plays in the CFP. Since that is the case, we should really only have to worry about what we know on December 2nd, not August 20th. The preseason AP Poll came out today, and while I will reference it for certain purposes, it doesn’t affect teams directly. Its indirect effects are always important, though, so I will discuss that later. There is also plenty to talk about, other than the preseason polls, that can really affect the season. We know teams’ schedules, and we have basic expectations from a lot of teams. Even if those expectations end up being wrong, it’s never too early to discuss scenarios that are more likely than others to play out over the course of the season. Last year, the SEC became the first conference in the playoff era to put two teams into the CFP. With Alabama and Georgia expected to both be top teams again, the question on the minds of many fans is whether the conference can repeat the feat. That will depend on a lot of things, and it’s way too early to speculate about that. Instead, let’s talk about the dilemma the SEC will present the selection committee to even put one team in. Why? The SEC has never missed the Playoff, and no one is expecting that to change this season. But the conference is incredibly top-heavy this year, and the schedules of those at the top opens the door for serious trouble in the conference. We can expect three potential Playoff contenders from the SEC. They have opposite problems. Alabama and Georgia each play pretty weak nonconference schedules. If the SEC ends up as top-heavy as expected, both teams can be lacking in quality wins. That won’t matter if either goes undefeated. Alabama has three teams on its schedule ranked in the preseason, but with all three of those are in the SEC West (Auburn, Mississippi State, and LSU), so it’s unlikely they’ll be ranked by the end of the season. Most probably feel that a 12-1 Georgia or Alabama team wouldn’t have much to worry about. And they probably won’t. But it will give the committee some headaches. The SEC’s real problem is its third contender, though. Auburn is slated to play three expected Playoff contenders, including a season-opener against Washington. If the Tigers lose two early games, they will still very much be in the Playoff conversation–just like last season. If they lose early, they can very much ruin the seasons of both Alabama and Georgia–and the SEC in general. Last season, losing to Auburn was not enough to keep Alabama or Georgia out of the CFP. Will the SEC be so fortunate two years in a row if it happens again? I don’t know, but I’m pretty sure that neither the league nor the selection committee wants to find out. How to judge Ohio State? The NCAA basketball selection committee has rules about how to treat injured and suspended players. What results do they ignore? What do they view as indicative of the team’s actual level? The CFP selection committee has no such official protocol. Their directive is the incredibly nebulous challenge to pick the four “best” teams. Yes, they use the strength of schedule, common opponents, and others as “tiebreakers” when teams are close. But the goal is to find the four “best,” with no real guidelines as to what that means. Which brings us to this offseason and the Urban Meyer investigation at Ohio State. As of now, the investigation is not yet concluded, and it is entirely possible that Meyer will be suspended for a few games. What if Ohio State plays poorly without him and loses a game (say, against TCU in Week 3) but is a world-beater once he returns? Or what if he’s fired and it takes Ohio State a few weeks to adjust to his absence? This is just a particular application of the annual broader issue as to whether a team is judged by how it plays in November, September, or some combination. But it is the first time we have really seen an issue of a potential coaching change or suspension with a major playoff contender. How will the committee deal with it? We’ll just have to wait and see, if the situation comes up in the first place. The Week 1 schedule is chock full of games that will likely have a long-term impact on the playoff landscape. How, though, is not immediately obvious. Let’s start with Auburn vs Washington. As mentioned above, an Auburn loss would spell some initial trouble for the SEC. 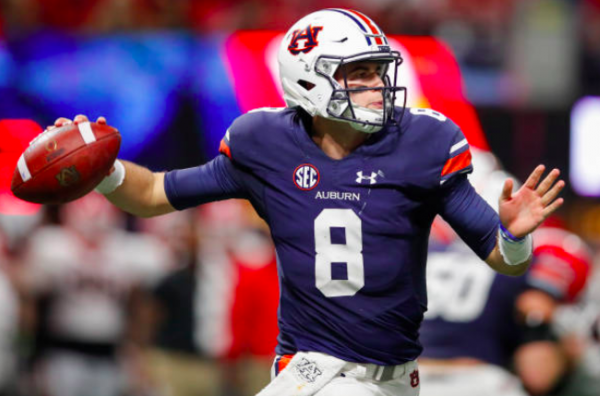 An Auburn loss will make any later win over them somewhat less valuable, and would make any loss to Auburn very troublesome for any other SEC team. Auburn’s game isn’t just important to the Tigers and the conference. The game is emblematic of something the SEC needs as a whole. As evidenced by only having five teams ranked in the preseason (in both the AP and Coaches’ Polls), the conference does not quite command the respect it did as recently as five years ago. Everyone knows Alabama and Georgia are great, but what about the other teams? Almost all SEC teams play one “major” nonconference game. Four of those will take place in Week 1. Auburn vs Washington, Alabama vs Louisville, LSU vs Miami (Fl), and Tennessee vs West Virginia will go a long way towards determining how much respect the SEC as a whole is given this year. Alabama over Louisville seems like a lock, but if the conference drops those other three games, it will start to get very difficult to find quality wins in-conference. The Pac-12 is in a similar boat, though for somewhat different reasons. The conference as a whole plays plenty of high-quality nonconference games. However, a disastrous bowl season in 2017 means that this conference will get far less benefit of the doubt than any other power conference. 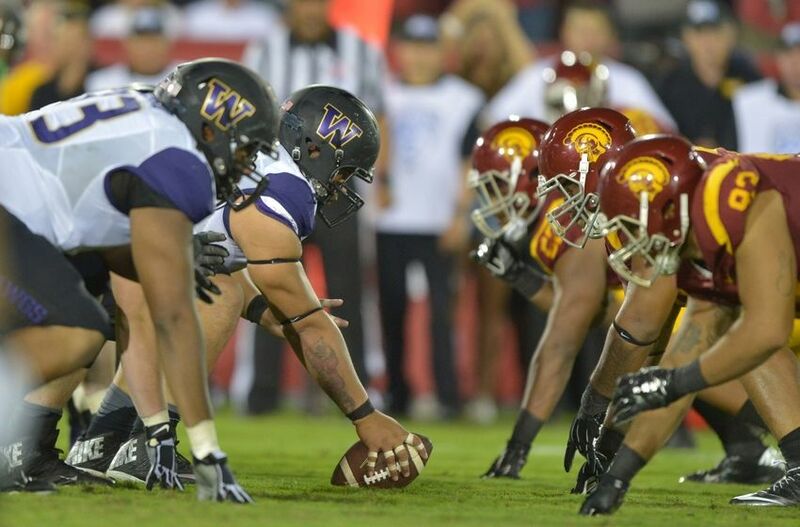 The only major Pac-12 game in Week 1 is Washington against Auburn. The last taste that everyone has of the Pac-12 in nonconference play is the miserable showing in bowl games last year. If Washington can’t beat Auburn, there will be very early questions about the conference’s competitiveness. There will be plenty of opportunities to answer those questions as the season goes on, but the Pac-12 can least afford the initial conversation being negative. There are a few other Week 1 games that can have long-lasting and far-reaching implications, but I want to just focus on two of them. First of all, we have to look at Notre Dame vs Michigan. It was not noticed enough last year, but Michigan’s lack of credibility really hurt both Wisconsin and Ohio State. The Wolverines were 8-4 on the year, with all four losses to Top 15 teams, but the lack of wins of any quality kept Michigan out of the committee’s final Top 25. Would a win over a ranked Michigan team have pushed Wisconsin over Alabama in the final rankings? Probably not. But Michigan being viewed as mediocre rather than very good is bad for every Big Ten team that plays the Wolverines. A loss to Notre Dame would further entrench that current perception. A win over a preseason playoff contender would boost not just Michigan, but the other Big Ten heavyweights. The last game I want to focus on is FAU vs Oklahoma. Not only does Oklahoma have a bit of a shocking history of losing to really good non-power conference teams, but the Big 12 can not afford a loss in this game, especially when you consider the conference’s inherent scheduling disadvantage. On the other side of the ball, Lane Kiffin and FAU could get some dark horse playoff buzz–and at the very least take firm control of the Group of 5 conversation. FAU plays both Oklahoma and UCF on the road this year. UCF likely will not be the powerhouse it was last year. The Golden Knights do return a ton of production and should be favorites in the AAC, though. Two nonconference road wins over ranked teams will get a team in the conversation, at least on the fringes. 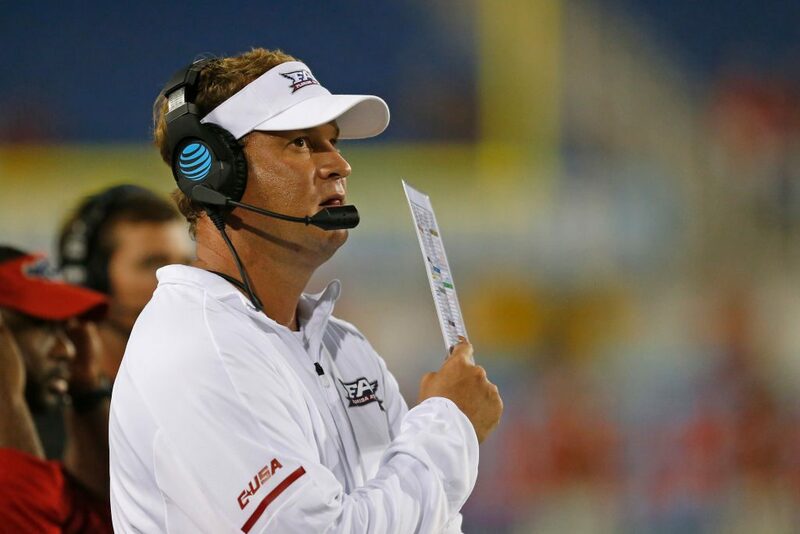 If one other C-USA team can step up and have a great season with an upset or two (and that Week 1 game between Western Kentucky and Wisconsin has some potential), then Lane Kiffin might spend November in the national spotlight once again.